“A Fool’s Idea” – the Podcast, is a more in depth look into the lives of some of the artists, performers, teachers and clowns that we have or will featured in the documentary project. 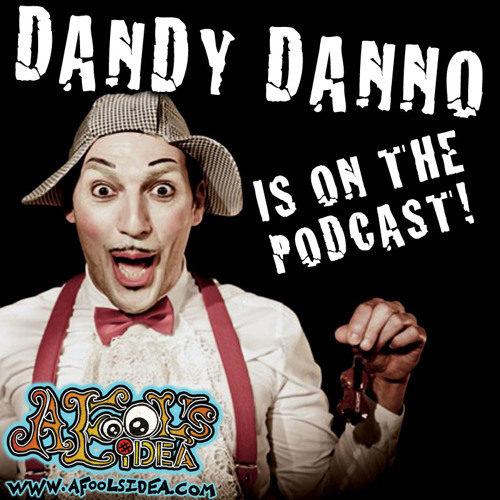 This episode features Dandy Danno a wonderful clown from the Lidia Togni Circus one of Italy’s oldest most prestigious touring circuses. We caught up with Dandy in the middle of the night, (because touring circus clowns do not seem to have much time off). We talk about connecting with the audience, improvisation, Italian political clowns, and what it was like to quit a high paying corporate job and run away with the circus! Please be sure to check out Dandy's website here: http://www.dandydanno.com Please be sure to subscribe to the podcast on iTunes: https://itunes.apple.com/us/podcast/blightproductions/id609236080 Also subscribe to our documentary series on YouTube here: www.youtube.com/blightproductions For more about our documentary project please visit: www.afoolsidea.com Also, please become our patron: www.patreon.com/blightprodutions so we can continue to produce amazing interviews.